The state of Kentucky is home to a wide variety of rocks. All rocks can be divided into three broad categories: igneous, sedimentary and metamorphic. The vast majority of Kentucky's rocks fall into the sedimentary group. They are the product of sediments and plant debris being squeezed underground for epic time periods. Exploring Kentucky's geological record is a fascinating and educational hobby. Coal is made from ancient plant matter that has been buried and compressed for millions of years. It can be divided into several subcategories depending upon how long it's been underground. 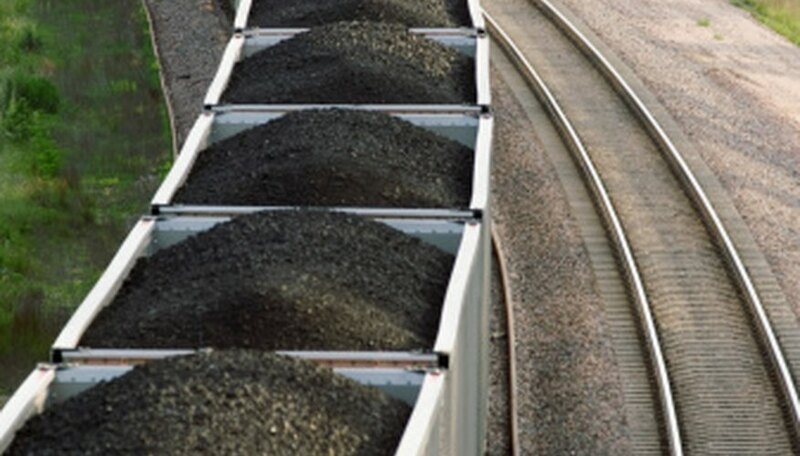 Coal usually occurs in layers called veins and is in high demand as a fuel source. When burned, coal releases the potential energy of the plant material that went into its formation. Whether underground or at the surface, coal mining is one of the linchpins of Kentucky's economy. Shale is a brittle sedimentary rock found all across Kentucky. Some varieties have an oily sheen on them and could be a fuel source in the future. These "oil shales" are most abundant in the southern part of the state. When broken, shale fractures into very thin sheets. Quartz and other minerals are frequently mixed in with shale. Sometimes the rock is interspersed with clay. In terms of color, shale is typically gray-green or black. Sandstone is a porous type of sedimentary rock common throughout Kentucky. It is composed of mineral grains bound together by silica or carbonate material. 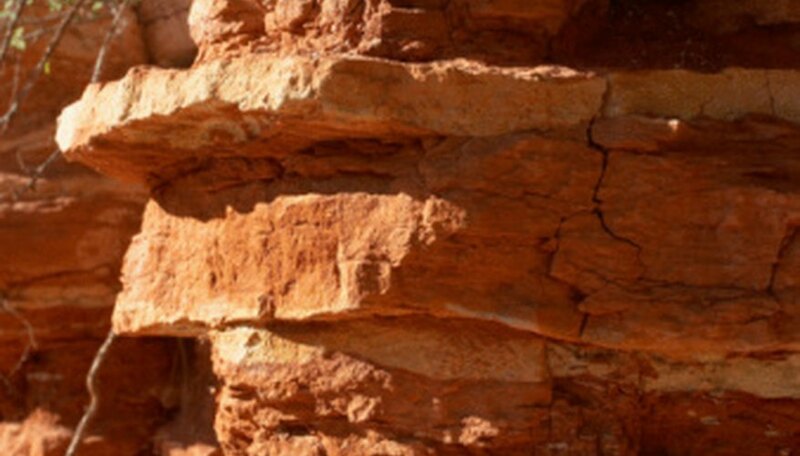 Some varieties of sandstone can be crushed in the hand, while others are very strong and resist the forces of weathering. Sandstone ranges in color from dirty white to red to nearly black. The darkest sandstones often contain small amounts of hydrocarbons like oil or tar. Sandstone is a raw material in both glass manufacturing and road asphalt. The most abundant surface rock in Kentucky is limestone. 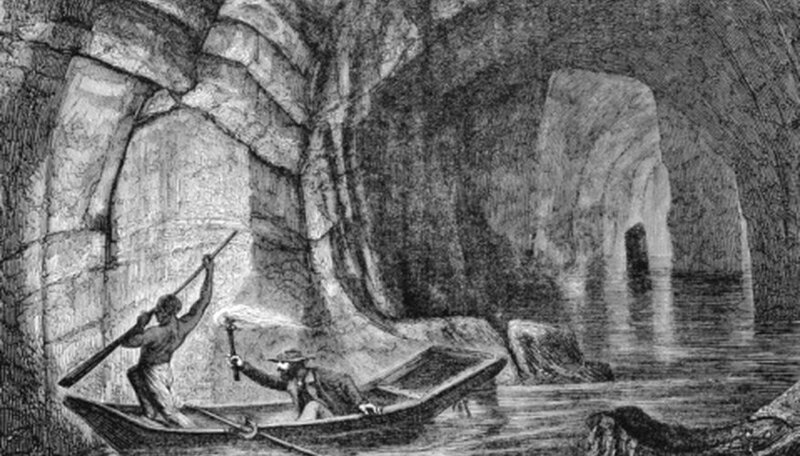 Typically occurring in layers, limestone was once the floor of an ancient sea. Fossils of prehistoric aquatic life are common in limestone outcrops. The color of limestone is usually blue or gray but can vary depending on what other materials are mingled in the rock. Acids from rain or groundwater readily dissolve the components of limestone. Vinegar poured on the rock's surface will demonstrate this effect. This chemical weathering is responsible for the caves and sinkholes found in many parts of Kentucky. A geode is an egg-shaped stone with minerals inside. Geodes can be a few inches across or more than a foot. 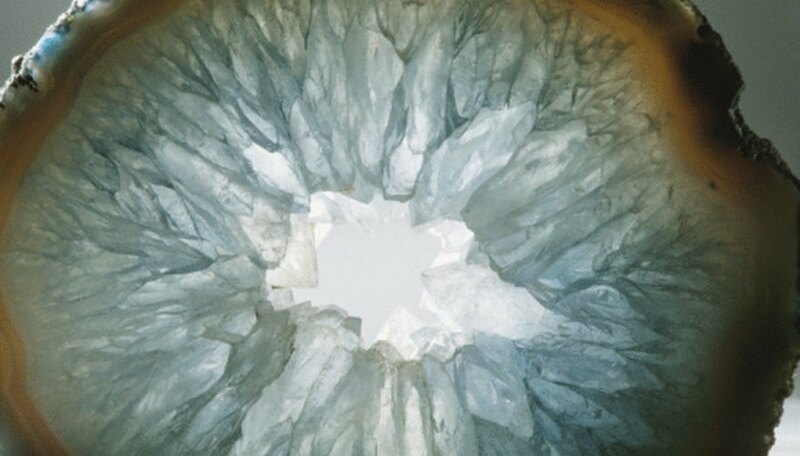 Crystalline minerals like quartz grow from the rock into the hollow space inside the geode. Some geodes are solid, as the crystals have completely filled the interior. The Green River and Kentucky River valleys are both good locations to find geodes. The official state rock of Kentucky is agate, which is a specific variety of quartz geode. Patrick, Josh. "Stones Found in Kentucky." Sciencing, https://sciencing.com/stones-found-kentucky-8219241.html. 25 April 2017. What Types of Rocks Are in Tennessee?